© 2015-2018 by Zack Smith. All rights reserved. I'm not a doctor nor a nutritionist, but I have successfully lost weight and kept it off. This is what established career experts repeatedly warn in media appearances to be quite impossible and yet anyone can observe that many people do lose weight and keep it off. Furthermore there are multitudes of people and indeed entire countries where the majority of people are not fat. The truth is, it doesn't matter. You don't benefit. That's the most salient fact. Let's say hypothetically that you consume a horrible diet consisting entirely of chocolate or McDonald's food or cotton candy. In such a case, if your total calories were restricted to slightly below the level of raw energy that your body needs daily, you would lose weight. But you would be miserable, because discomfort and misery are your body's and mind's way of rebelling. You would become incredibly unhealthy if you consume only garbage food. As a rule, if the foods that you eat are not rich in nutritious you will be hit by cravings because calories without nutrients causes a kind of starvation. Your starving body will nag you like a child whom you've neglected. It will force you to eat even if your stomach is full of junkfood, and even if your stomach is hurting from being over-full. So long as you don't get the nutrients that your body requires, you will feel that something is missing. Furthermore, even if you eat solely nutritious foods, you may feel unhappy if you are addicted to the sugar and monosodium glutamate (MSG) that drenches modern food. You can experience withdrawal from the lumps of poisonous glop you've been shoving in your pie hole daily like a loyal robot. But eventually you'll get over it. Your body is a biological computer. You have to program it to switch to weight loss mode. Certain bad programs switch it to weight-gain mode, such as eating a bunch of carbs or peanut butter every day. The American diet is full of these bad programs. That's because they maximize companies' profits-- while they maximize your losses. 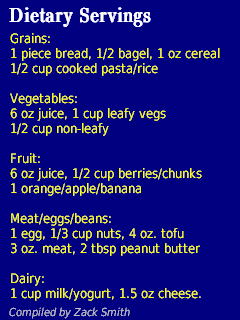 The key to losing weight is therefore to set your caloric budget, create a diet that is healthy, and then stick to it. It you eat nutritious food, your body won't force you to need to eat excessively. Dieting presents a simple question: How will I eat the things I want to eat, without going over my caloric budget? But again: Your body needs certain nutrients. Many fun foods largely lack nutrients, for example chocolate and fast food. Most are stuffed with sugars and MSG. Even so-called health foods are often packed with MSG, disguided as it usually is as additives. If you consume only those types of foods (addictive, empty-calories junk), you will be programming your body to enter starvation mode even if you are consuming far too many calories and accumulating fat. Your body will compel you to keep eating, you will lose track of how much you're eating and will end up having 3000 kcal days, and your dieting effort will fail miserably. But it's a positive misery, because it boosts corporate profits, right? Just kidding. To avoid this de facto starvation, the problem you need to solve is more carefully stated as: How will I eat the healthy things that I want to eat, getting all required nutrients, without going over my caloric budget? It is a budgeting problem. It is also a life-satisfaction problem. If you are a typical adult, you have 2000 kcal to spend. Will you spend on good food? Or squander it all on ice cream and candy? Imagine you that you have won the lottery. Every day you have $2000 to spend, but you have nowhere to live and no transportation. If you spend the $2000 on useless golden jewelry or addictive drugs, you'll starve and sleep in the park. Your priority should be to spend it on thinks that matter first and if you have any leftover cash, maybe splurge. Or another way to look at it is like a packing problem. Imagine you are going to relocate for work, and drive a long distance to the new job. You have to put all of your worldly belongings inside a compact car, and you can only make one trip. How would you pack the car with things that matter, and what would you leave behind? Your daily diet is like that car. It is a limited space into which you can only put the best things. If you load it up with junk, will you be helping yourself? No. Will you be responsible for your mistake? Yes. In addition, if you're no longer growing, your body will have relatively limited need for food. Grown adults can easily survive on 2000 kcal per day. Your car, using the analogy above, is thus smaller than the car of a teenager. You can fit less in it. Therefore you need to make even better choices about what you will include in your diet. It turns out, creating a daily food budget is not a hard problem to solve. Why? Because there are many delicious healthy foods. Nutrient-rich foods give you the feeling of being full as well as satisfied. The practical problem is, the food industry is addicted to selling addictive junk. That's an easy task for mediocre people to do and be successful. As a result, almost every packaged food has sugars and MSG. There are effectively 40 different names for MSG and probably 15 for various sugars. That's because there's been a willful deception. Note, excessive fruit intake is not advisable, as it is alleged to be bad for the pancreas. Pancreatic cancer cells use fructose as fuel, which is why fruitarians are at risk of that type of cancer. Growing up, my stomach always hurt when I overate. As an adult however I realized this was no longer the case, at least when I ate certain foods. I deduced that certain foods must be desensitizing the stomach and reducing nausea. MSG (monosodium glutamate) in its various forms, which number about 40, is added in large amounts to processed foods. It is a known neurotoxin, so it actually kills neurons. The digestive tract has, according to one source, 100 million neurons. Putting 2 and 2 together, it's not hard to deduce that it is likely MSG desensitizes the stomach so that overeating no longer causes pain, probably by killing neurons. Overeating harms the consumer but boosts the profits of food manufacturers and sellers, so it is in the latter two's interest to add MSG (or any chemical) that eliminates stomach pain from overeating.